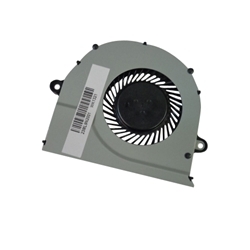 Description: New genuine Acer laptop replacement cpu cooling fan. This may be what you need if your fan stopped working or if your computer is overheating. **Some of the models listed below may have more than 1 fan depending on the type of video that the laptop came with. Please check the part #'s and pictures carefully to make sure that you are purchasing the correct one. Acer Aspire E1-571, E1-571G, E5-511, E5-511G, E5-511P, E5-521, E5-521G, E5-531, E5-551, E5-551G, E5-571, E5-571G, E5-571P, E5-571PG, V3-572, V3-572G, V3-572P, V3-572PG.